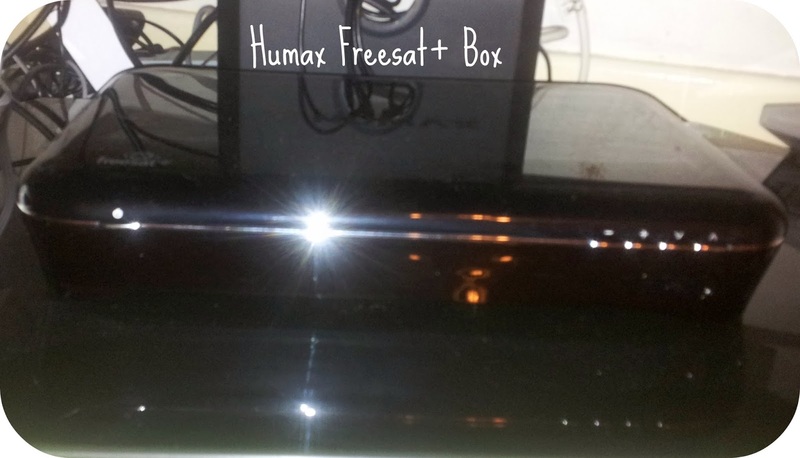 A few weeks back now we were lucky enough to be chosen as a reviewer of a Humax 500GB Freesat+ with Freetime Box. This was as part of the Mumsnet Bloggers Network. This simply couldn't have come at a better time for us, we were considering getting an external television provider as programmes on standard Freeview were simply just getting repetitive. The only thing I couldn't justify why the monthly costs of Sky TV. As I've been back now and compared all the initial outlay costs and monthly costs, the Freesat box is a huge saving even with the initial expense of the box. As we didn't have Sky TV, and haven't done for well over 10 years, I awaited the installation of a new satellite dish, which happened very quickly and I was then ready to set up the box. I was contemplating leaving the set-up until Ashley came home, however I decided I would give it a go on my own and if it got complicated I could leave it, good thinking hey? After installing a few wires and following the on screen instructions we were set-up and running within 10 minutes, probably less. How quick is that, and I managed it on my own! The box itself is really neat, and a lot smaller than our Blu-ray player, I expected it to be much larger as I remember Sky boxes being large. It has a lovely finished top, and a clear display at the front so you are able to see exactly what channel you are watching. I also love the fact I am able to watch on demand television on the big television. We would normally watch on the Wii or xBox internet connection providing as it was powered with WiFi it would often stutter, however as the Freesat box is wired it has a fast connection. Its hard to believe the service I am getting for free would cost a hefty £500+ with Sky for a similar service. "Freesat believe you shouldn't have to pay a monthly subscription to watch and listen to 180 channels of the best comedy, drama, sport, lifestyle, music and news. We offer free HD services from ITV, the BBC and Channel 4; freesat+ to record pause and rewind, BBC iPlayer, ITV Player, 4oD and Demand5; and all subscription free. Freesat launched 'freetime' last Autumn which includes a Roll Back TV Guide that allows you to watch programmes you've missed from the previous seven days across 21 channels, a new showcase section providing top TV picks chosen daily by Freesat's reviewers, on-demand services and enhanced recordings." Freesat are offering an exclusive discount code to purchase a 500GB Humax Freesat+ box. Through my blog using the code FT30 you can purchase the box for just £199 which is a saving of £30 from the RRP of £229.